Use our standard drinks calculator to calculate the number of standard drinks in common servings of beer, wine, spirits and liqueurs. In Australia a Standard Drink contains 10 grams (12.5ml) of alcohol regardless of serving size or drink type. The general rule of thumb that 2 Standard Drinks in the first hour will increase your blood alcohol content (BAC) to 0.05%, and from then on it only takes one Standard Drink per hour to maintain your BAC at that level. 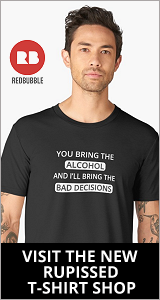 Select the type and number of drinks consumed and press "Add". If your drink isn't listed, manually enter the alcohol level and size of the serving. Continue with each type of drink you consumed during the period. 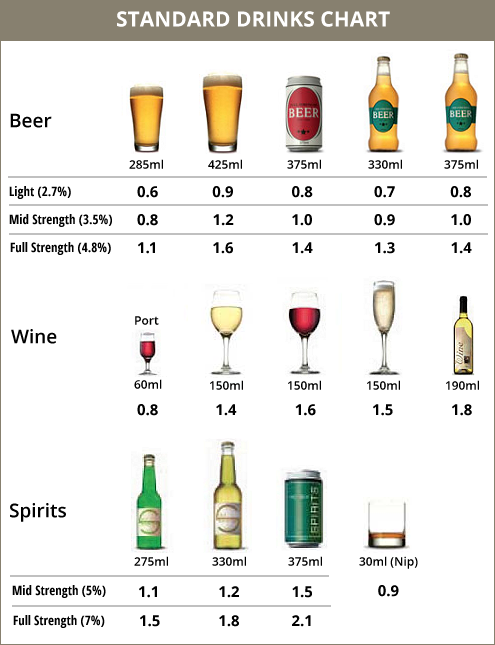 The following standard drinks chart shows the number of standard drinks in regular servings of beer, wines, spirits and pre-mix RTD's. A standard drink contains 10g (12.5ml) of alcohol. How Many Standard Drinks To 0.05? 2 Standard Drinks in the first hour will increase your Blood Alcohol Content (BAC) to approximately 0.05%, and then one Standard Drink per hour after that will keep you at that BAC level. To do a quick calculation of the number of Standard Drinks that you can safely have to keep at or below a blood alcohol content of 0.05%, simply take the number of hours since your first drink and add 1 to it. Then calculate the number of "Standard Drinks" that you actually had, and compare the 2 results. While blood alcohol content will vary with gender, weight, age, and level of fitness, this quick calculation can help you to avoid the mistake of having "one more for the road" when you shouldn't. It's also handy the next morning.